Dr. Sciara has been in practice since 2004. 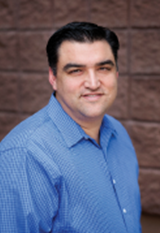 He grew up in the Phoenix area and completed his medical school at the University of Arizona and residency at St. Joseph's Hospital and Medical Center. He joined Dr. Anil Goud, President of Independent Hospitalists, PLLC soon after completing residency and helped build and shape Alliance Medical Clinic, LLC and Independent Hospitalists, PLLC, the Internal Medicine Hospitalist group at John C. Lincoln Deer Valley Hospital. He also serves as Chair of Medicine at John C. Lincoln Deer Valley Hospital. He is a proud father of three young children. Diane brings to our practice 27 years of experience in healthcare, including the last 13 years as a Board-Certified Family Nurse Practitioner. Her prior experience includes primary care, urgent care, emergency room, endocrinology and women’s health. At Alliance Medical Clinic she will be providing a full range of medical care, including management of acute and chronic diseases such as high blood pressure and diabetes, evaluation and treatment of minor illnesses and injuries, and wellness and preventative health care. Diane moved to Anthem from California in 2005, and loves living here with her husband of 22 years and their two young children. Angela has worked for HonorHealth/JCL for the last 9 years where she worked most of her years there as an ED and SWAT RN. She completed her MSN in 2016 at Grand Canyon University, and is a Board Certified Family Nurse Practitioner. When not working Angela enjoys traveling with her husband, hiking, camping, and watching the Arizona Cardinals.